Successful soccer betting picks are based on several factors, including statistical analysis and situational trends. Motivational and psychological factors, team news, roster changes, injuries, suspensions and recent form are also important. We only advise bets on games where we have an edge, and we make winning soccer predictions by exploiting that edge. Totetipster.com insider picks are profitable, reliable, and above all, consistent. Whether you are a professional gambler or amateur punter, you can make wagering on soccer fun. 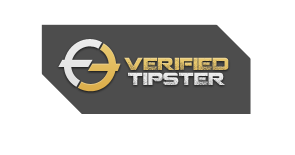 The high quality of our football tipster analysis can help you beat the bookies every month!